But very low key promotions can also be extremely powerful. It was lovely yesterday to hear the effect that a librarian reading aloud from Skulduggery Pleasant had. A trickle of students around him swiftly turned into a crowd. 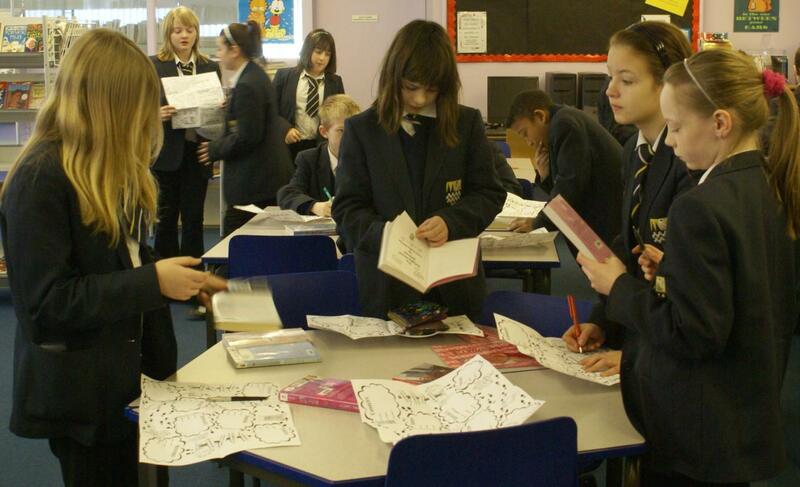 Lots of course members have had great success with Carel Press’s Reading Game. It always massively boosts demand for books. The picture shows it in action at Emmbrook School.